For months, we’ve been working tirelessly on a top-secret project unlike anything we’ve done before. And now, it’s finally out to the public! We’re so excited to announce our collaborative effort with LA director Richard Farmer on a music video for BRONCHO the band, featuring their new song ‘Big City Boys’! There were so many things that excited us about this project. 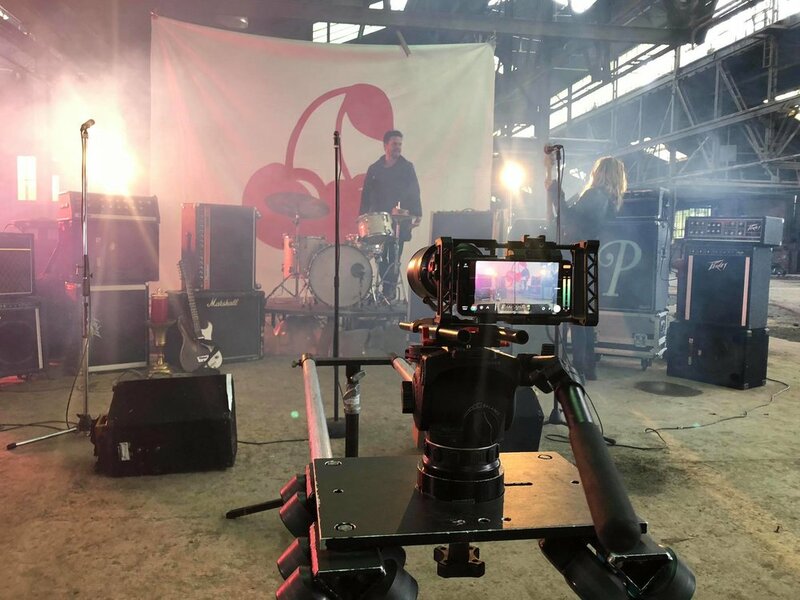 Creatively speaking, music videos are always a blast to shoot. But what sets this project apart is that had the privilege of working with producers from Apple! Yes, you read that right. Apple, the company that makes billions off their iconic electronic devices, reached out to Retrospec’s owner Jason Burks and asked if we wanted to collaborate with them for their #ShotoniPhone campaign! Of course, we said yes. BRONCHO is an indie rock band based out of Oklahoma. Their newest album, Bad Behavior, just dropped this year with 10 songs. We had about a month’s notice to prepare for this shoot and start thinking through all the details. We had to coordinate everything from medics to fire department to police to security guards on sight. 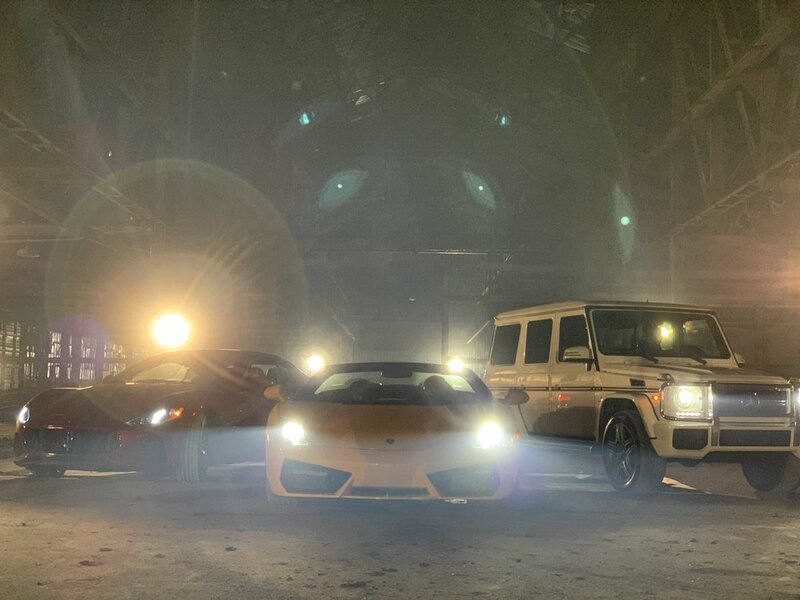 We also had to coordinate drivers for the cars that made an appearance in the shoot, including a Lamborghini and a Maserati. 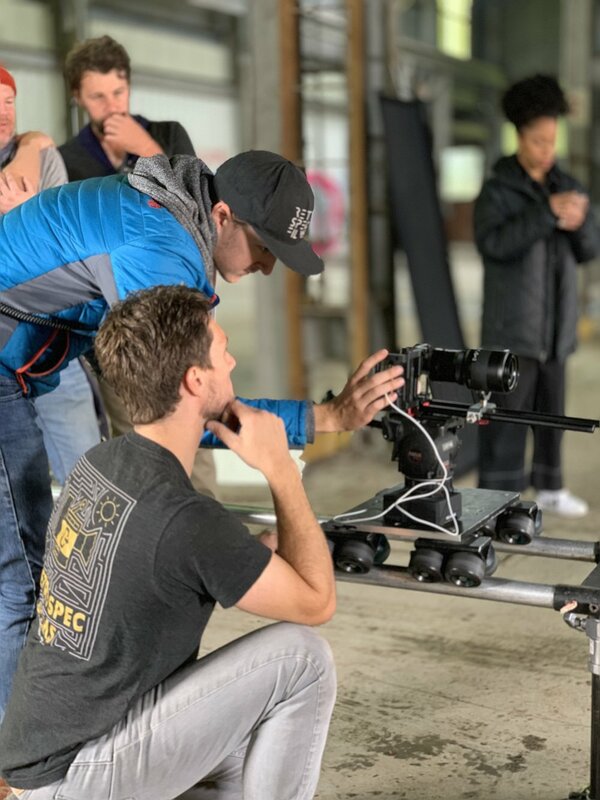 Nathan Groves, the Producer on this shoot, looked at everything down to the last detail to make sure we had everything we needed to pull this thing off. From power, heaters (it was cold that night! ), and rain ponchos, all the way down to snacks and water for the talent. Nathan made sure that everyone and everything was placed in the right spot to execute in the most efficient way. 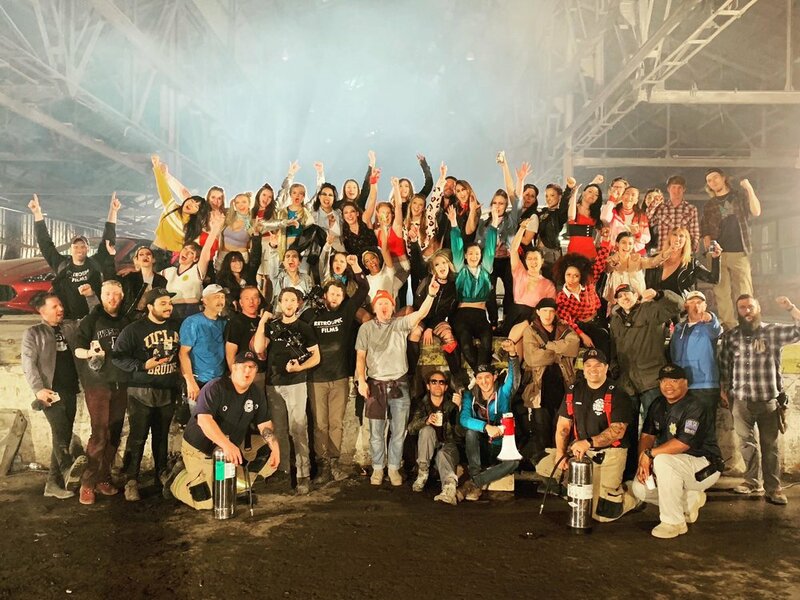 Our entire crew came out to help on this project, and we pulled in assistance from several other departments to help this video come into fruition. In total there were approximately 70 people involved in this production, including pre/post production efforts. Auditions for talent were held at the Retrospec studio on two full days the week before the shoot. Richard Farmer (Director) and Brandon Forbes (Producer) sat in while roughly 40 girls auditioned for the role of either Rocker or Fashionista. Farmer and Forbes narrowed their choices down to 14 Rockers and 14 Fashionistas and casted lead roles for each side. Learning some choreography for the fight scene! On the day before the shoot, all talent met at the Retrospec studio to go over the game plan for shooting day. Todd Whetsel, our fight choreographer, was brought in to give everyone safety pointers and a few different pieces of choreography that they could use in the fighting scene. Everyone practiced in couples for an hour or so and then they regrouped to go over choreography for the fight scene itself. After everyone felt good about where they were with the choreo, Madi pulled everyone aside to talk about wardrobe options. A few of our Rockers and Fashionistas in full hair and makeup. They’re ready to fight! 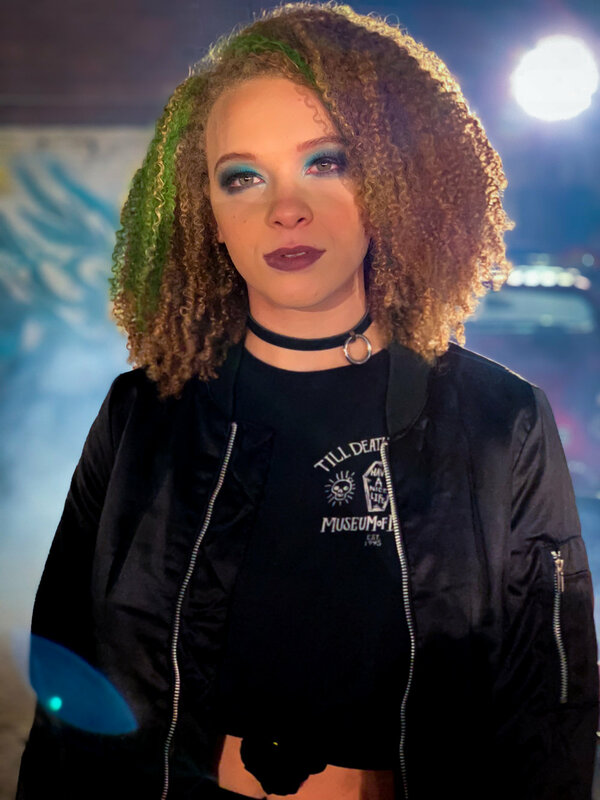 The wardrobe for the entire shoot was taken on by Madi, who came up with ideas for outfits, sourced the clothes, and made sure everyone had what they needed at the shoot itself. We had 6 makeup artists working on shoot day to make sure that 14 Rockers and 14 Fashionistas looked their best. They did have an inspiration board to refer to, but really, creativity ran wild and each girl ended up with a beautifully unique hair/makeup look. The day of the shoot started around 10:30am with Crew Call at the studio. Call time for hair/makeup and leads was at noon. We shot the band first, and then the opening car scene. The whole crew stopped for a late lunch around 2pm (we had really good mexican food catered in), and by the time we got to the fight scene, we were two hours behind. But Jason was positive that we could move through it quickly because we had three iPhone cameras running at the same time. The shoot ended around midnight when we finally wrapped! The last grip trucks left around 2:30am. We actually had to change our idea for location a few days before the shoot due to some gloomy weather that was going to put a damper on the whole shoot (no pun intended). It was pouring rain the whole first half of the shooting day. Luckily, the warehouse we scouted ahead of time had a huge open interior that ended up being the perfect location for the Rockers’ hangout, so we actually shot the whole video inside the warehouse. Jason Burks, Directory of Photography, was a little wary about shooting on an iPhone since he’s used to filming with top of the line camera equipment. Overall the iPhone XS exceeded all of our expectation… and that’s saying a lot coming from a production company. 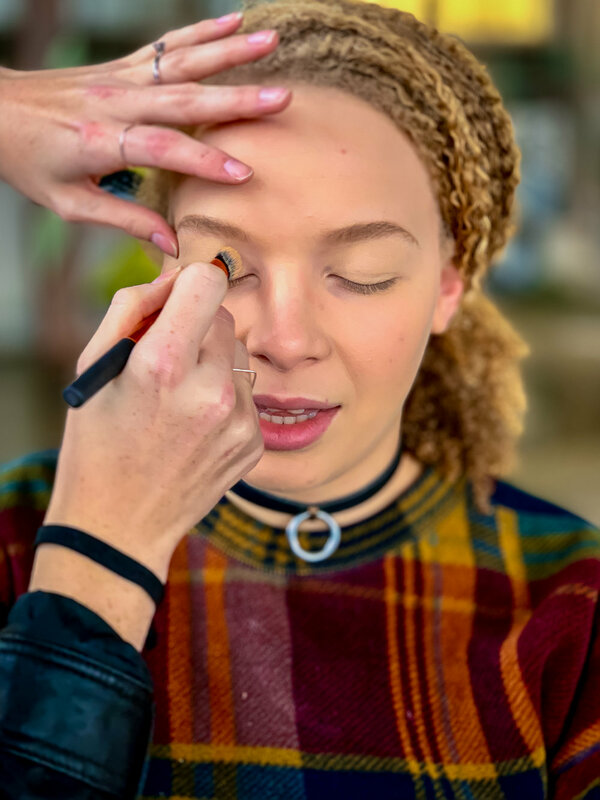 We also had a behind the scenes photographer capturing portraits in “Portrait Mode” and with the new editing capabilities on the XS, specifically the aperture tool, the photo results were… well, take a look! Every photo below was #ShotoniPhone. “As an editor, it was a big win for me to get to be on set. It made it a little bit easier once I got into the editing suite to dissect everything that I’d been given. Having Richard there for 2 weeks was also good for a project of this size. It was a really cool experience as an editor with the director. That was the first time I’ve ever had a director sit in my office for 2 weeks. We developed a really strong friendship and a great working relationship. He’s worked with so many incredible people, and it’s cool for us because that opens doors for us. “When we showed the people at Apple our director’s cut, they were blown away. In their exact words, it was “f***ing badass.” They couldn’t believe that we were able to pull that off. It exceeded all their expectations. And that was the best thing for me as an editor to hear from someone who’s obviously worked on big projects. They also said that Adam’s behind the scenes videos were some of the best they’ve seen for Apple, which is huge! And that right there told me that a) we have the right people in place here, and b) we are only limited by what gets in our own way. It just goes to show that we can do anything, right here in Tulsa. “We had to hurdle a few challenges before the final product was sent out. When the edit came back from Apple’s legal team, they had to request a few changes that involved huge chunks of our content to be taken out. They wanted us to scale down the fight scene, and to eliminate all smoking. This was not ideal considering nearly every Rocker had a cigarette in her hand at all times. It was a little deflating to realize that I was going to have to chop away at a really solid video, but I had to look at it in a different way, that people who have never seen the first edit won’t know what they’re missing. And as long as the story still made sense in the end, that’s a good thing. Q: How did this project come up for you? A: “I was on tour with another rock band called the Distillers when I met Broncho. I was excited because I was a huge fan of their first album, and I hoped to make some good connections. They told me they were finishing up a new album and I said hey! Let me know if I can ever produce something for you! Q: What was it like to work with Retrospec Films in Tulsa? Q: What was it like being on set on the day of the shoot? Q: What was it like to be a part of the editorial process?